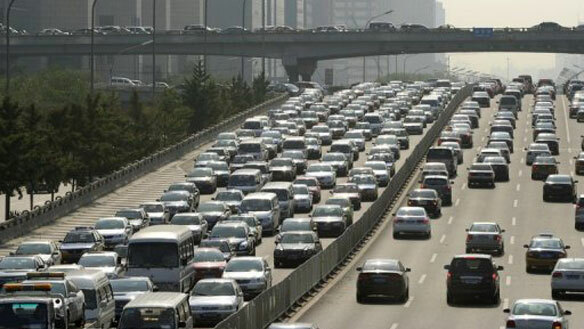 If ever there were a case for the importance of good urban planning that includes mass transit, this is it: a 62-mile traffic standstill on a road leading to Beijing is now in its ninth day, with individual drivers caught in it for as long as three days. The cause of the jam — beyond the skyrocketing number of drivers in China — is heavy use of the route, the Beijing-Tibet expressway, by trucks bringing construction supplies into Beijing. The trucks don’t just add to traffic; they also damage the road, necessitating repair crews. The roadway is also a major artery for transporting produce, coal and other basic supplies into Beijing — meaning that the city’s ill-planned growth could choke off its economy. Drivers stuck in the traffic, according to international reports, are taking it in stride, but with roadside vendors quadrupling their prices for food and other goods, the prospect of civil unrest looms near. Word to officials: growth could be better controlled, with supplies brought in on a variety of roadways. And incentives for private citizens to use rail instead of driving couldn’t hurt, either. Individual drivers sitting in it for 3 days? Yikes!! Seeing this story on life in a nine-day traffic jam I have to salute Obama's efforts to get high-speed rail funded. I'm aghast at all the people who think it's wasting our money. China is our future! 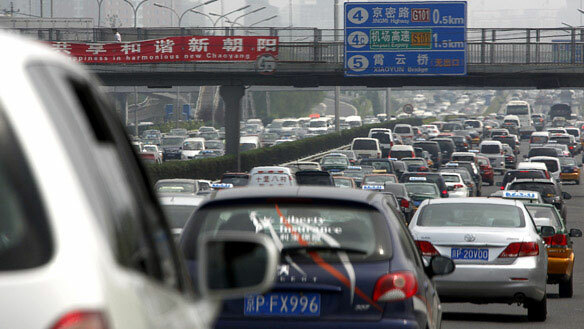 If ever there were a case for the importance of good urban planning that includes mass transit, this is it: a 62-mile traffic standstill on a road leading to Beijing is now in its ninth day, with individual drivers caught in it for as long as three days. The cause of the jam — beyond the skyrocketing number of drivers in China — is heavy use of the route, the Beijing-Tibet expressway, by trucks bringing construction supplies into Beijing. The trucks don't just add to traffic; they also damage the road, necessitating repair crews.